Overland from Cairo to Cape Town, Paul Theroux, Houghton Mifflin Company. It’s worth noting, however, that Theroux lacks what Achebe might refer to as a sinister agenda. Although he seems to have taken the trip primarily for the purpose of getting a good book out of it, Theroux clearly has a certain amount of affection for Africa. The fact that he has a historical perspective—having worked in Malawi and Uganda as a Peace Corps teacher during the mid-1960s—also makes a difference. It’s with a tinge of sadness that he reports how Africa has changed dramatically since those days, mostly for the worse. For those who have experienced Africa, many of the pictures Theroux paints will be immediately recognizable. Those who have never visited should find it a compelling and revealing look at the harsh realities of everyday African life. Operation Barbarossa—Nazi Germany’s War in the East, 1941-1945, Christian Hartmann, Oxford. 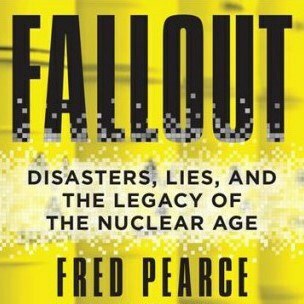 Fallout—Disasters, Lies, and the Legacy of the Nuclear Age, by Fred Pearce, Beacon Press. The Rise and Fall of Ancient Egypt—The Rise and Fall of Ancient Egypt, Toby Wilkinson, Random House. Bloody Sundays—Inside the Dazzling, Rough-and-Tumble World of the NFL, Mike Freeman, William Morrow.